Antioch, IL – November 12, 2014 - The George H. Morris Thanksgiving weekend riding clinic will be held November 28 – 30, 2014 at Annali-Brookwood Farm, Antioch, IL. Caroline & Rush Weeden’s Annali-Brookwood Farm is home of the Chicago Hunter Derby presented by Canadian Pacific and host to national level competitions and educational opportunities. 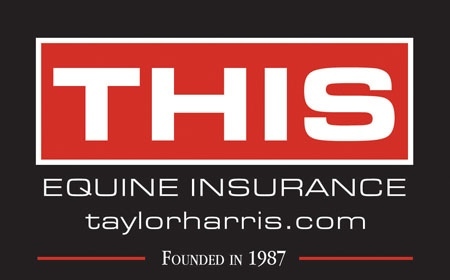 The George H. Morris clinic continues to offer classic riding principles and discipline for riders and auditors of the Chicago area for 30 years. The clinic starts daily at 9am and runs usually to 5pm. There will be three groups of riders, 1.10m, 1.25m and Grand Prix. Auditors are welcome, no reservation is needed, the cost is $75 at the door by credit card, check or cash. Auditor seating is in the ring close to the discussion and action, making George’s clinic informative and exciting. Bring your book for autograph signing at the end of the Grand Prix group. Lunch is provided daily by Devoucoux and a representative will be available daily for any saddle questions you may have. Devoucoux is wholeheartedly dedicated to the partnership between horse and rider, and has been working to promote it since 1985. Contact Diane Carney/Telluride, coordinator of the GHM Chicago Riding Clinic, with any questions regarding the clinic, 847-922-6167. Directions to annali-Brookwood Farm can be found at www.Chicagoequestriansforacause.com.